Adding charitable giving to the pricing process can significantly increase total revenue and profit. This was the finding of a paper in the July 16 issue of Science that was reported recently on the Discover magazine blog. The finding was for charity combined with Pay What You Want pricing (PWYW), but the lesson seems equally applicable to charity combined with FairPay. FairPay builds on PWYW by adding feedback on buyer pricing that lets sellers decide whether to make further FairPay offers, as explained in the sidebar to the right. As reported, PWYW+charity yielded significantly higher total profit than PWYW without charity, and also more than either a simple set-price, or set-price+charity. Individually, the PWYW buyers paid less than the set-price buyers, but far more of them made a purchase. In this case the product was a photo of the participant taken during an amusement park ride. Purchase rates were very low with standard pricing (at $12.95) and only slightly higher when 50% of that price went to charity. As summarized in the Discover blog, "...But when customers could pay what they wanted in the knowledge that half of that would go to charity, sales and profits went through the roof. Around 4.5% of the customers asked for a photo (up 9 times from the standard price plan), and on average, each one paid $5.33 for the privilege. Even after taking away the charitable donations, that still left Gneezy with a decent profit." "This is a substantial result, especially since it came from a real setting. The theme park that Gneezy used stands to make another $600,000 a year in profits if it takes up her sales strategy. And just to be sure, Gneezy confirmed that sales at a nearby souvenir shop didn’t fall on the days when she ran her study. These extra profits weren’t coming at a cost to retailers elsewhere in the park." These results suggest that combining FairPay with charity could have even better results, possibly even with much lower levels of charity, and thus higher profit. 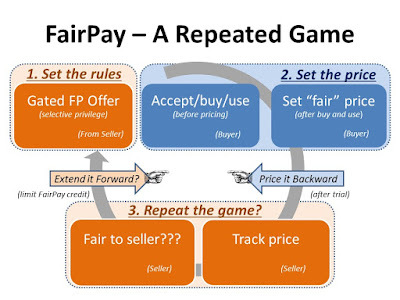 The charity component encourages people to buy and to pay a fair price, and the FairPay feedback process provides even more incentive to pay a fair price. I suggest that FairPay without charity will also prove very effective, and be more widely applicable, but the combination certainly seems worth trying. Gneezy describes this use of charity as "shared social responsibility," a variation on "corporate social responsibility," which gets to issues of how corporations seek to build a more collaborative relationship with customers. 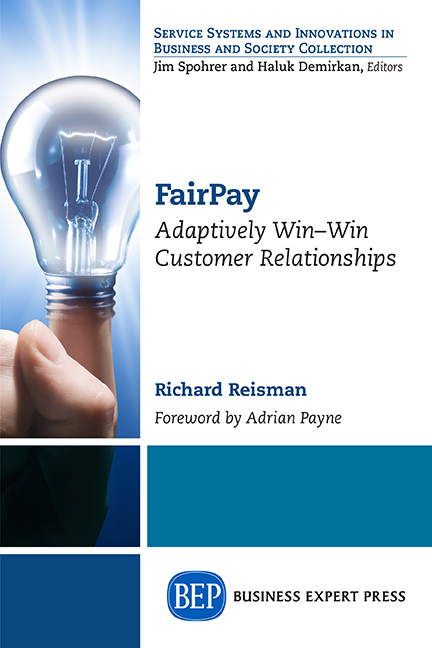 I suggest that the FairPay pricing process is a complementary way to build more collaborative relationships, and to do so more directly and efficiently. 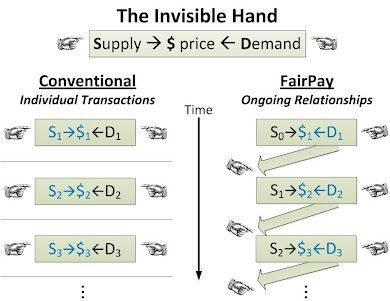 Whether the combination is more or less effective than FairPay alone, remains to be seen, and probably depends on the details of the situation. The charity contribution percentage could be fixed as it was in this experiment, or it might be at a user-specified rate. One real-world example of a PWYW offer with a buyer-specified rate of charity is from Camel Audio (until the end of August 2010). The suggested price is $59 (which seems to be the usual list price), and the suggested charity contribution is 50%. My test indicates this Web offer restricts payments to being between $1 and $100, but that it allows charity rates up to 100%. The results of the Gneezy paper also show how much of the addressible market can be lost under conventional pricing. Sixteen times more people bought photos when given the ability to pay what they wanted (but they paid poorly), so that is not so attractive. But nine times more people bought with PWYW+charity -- and they paid at a rate that tripled profits! Trying new pricing models takes time, effort, and some risk, but it would seem that the payoffs might be very large indeed. Businesses struggling with revenue models might be risking much more by not taking the plunge.